Google Search’s built-in jobs search engine, which launched earlier this year, is getting an update today. For the most part, these new features address some basic shortcomings of the first version. This means that in this new version, you can now finally filter jobs by how far away they are from you, not just by what city they are in. The updated “Location” filter now lets you choose from between 2 to 200 miles (or “anywhere”), which gives you quite a bit more control. In addition, you will also soon (“within the coming weeks”) be able to save jobs right in Google Search thanks to a new bookmark button. Nothing special here, but it’s a useful feature and because those bookmarks sync across devices, it’s now easier to search on mobile and apply on your desktop, for example. Speaking about applying, this new version now also lets you choose which service you want to use to apply. 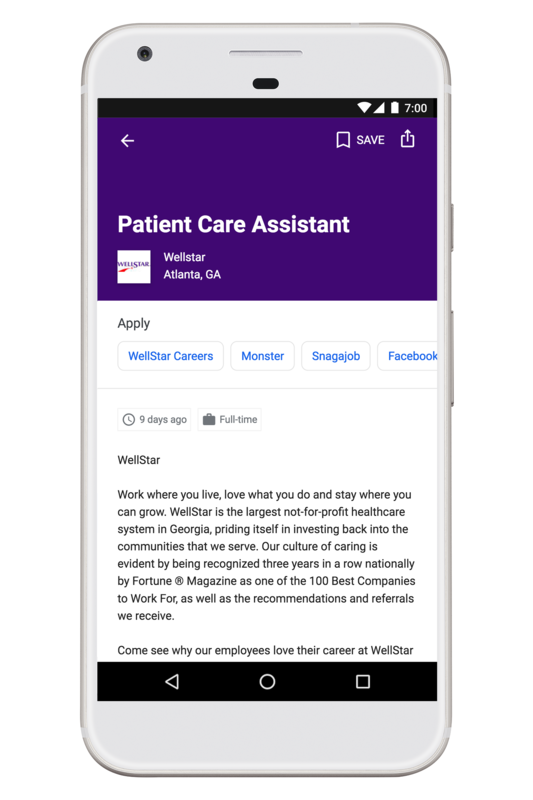 One of the smartest features of Google Jobs is that it aggregates jobs from multiple sites and knows when a job posting on multiple sites is for the same job. Until now, though, that meant Google would steer you to one particular job board — typically the one with the most complete listing. But maybe you prefer to use Monster over CareerBuilder to apply for a job because you already have a profile there. Now you get that choice right in the Google Jobs interface. The most interesting new feature, though, is probably the new salary range estimates. Most job listings don’t even list salary ranges, after all, so having Google show data from Glassdoor, Payscale and others will definitely save you a few clicks.